Where can I get a cheap watch? Bargain hunters of Latest Dealers track the best prices of watches to help you save money. You may specifically be interested in an Apple Watch or a Smartwatch. Whether it's a simple analogue watch that can just tell the time, a retro Casio watch with the date and some other functions, a designer watch such as Breitling or Rolex, or a fully-fledged heartbeat monitoring, step-counting, phone ringing digital wonder piece, here you'll find the best watch deals. You'll also find cheap watches from Amazon for just £1 or less, as Asian manufacturers flood the market with low price accessories. Buying the perfect watch can be really overwhelming. Some of the questions that might come to mind are where to buy watches, or if you’re on a budget where to find a cheap watch and what can you expect to get out for your money? Though these questions are simple, there are no quick answers to them. In addition, there’s no single buying guide that can make anyone an expert instantly. However, with this little guide we have, we will in some way help you narrow down your choices to make shopping for cheap watches in the UK as easy as possible. With this article, we will be able to help you choose a luxurious watch from different price points as well as help you decide where to purchase your dream watch. Where can I get cheap watch? It’s tricky to shop online for cheap watches for ladies and men, especially with so many scammers out there passing replicas as authentic. And if you’re on a tight budget and want to get a quality watch, it can be even trickier. Fortunately, here at Latest Deals we have money-saving experts and savvy bargain hunters who are always on the lookout to get the best possible cheap watches UK deals, discounts and voucher codes from watch shops in the UK such as Goldsmiths, Amazon, Argos, BrandAlley, eBay and more. We have everything from sports watches to smartwatches and luxury designer watches to simple analogue watches, Get daily discounts and price drops from brands like Apple Watch, Lacoste, Nike, Rolex. Breitling, Casio, Baby-G, Hindenberg, Juicy Couture, Rotary, Adidas and more. 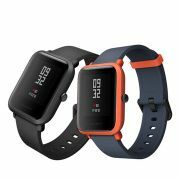 Amazon outlet offers cheap designer watches, every day you will find bargain deals and steals from Amazon UK watches sale. Get as much as 75% off on Amazon men’s watches sale and cheap watches for ladies. And I you’re a member of Amazon Prime, you will be eligible for free delivery and exclusive online discounts. 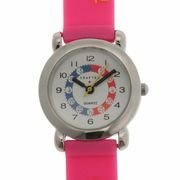 Get amazing discounts on Argos cheap watches deals for men and women. They have clearance sale on a wide range of brands and styles wherein you can get savings of up to 60% off on selected watches. They also have a 2 for £20 promo and durable watches under £10. Goldsmiths is a great watch shop to visit. They have an extensive selection of watches from luxury to fashion brand. Their online shop usually have online only exclusive sale events where you can take advantage of as much as 50% off on selected watches from brands like TAG Heuer, Omega, Casio, Kate Spade, Skagen, Daniel Wellington and more. One of the first things you need to consider is your budget and what watch you can get for it in order to help you narrow down your choices. You can find cheap watches online with quality under £20. But if you have the budget, there are designer watches that can go up to more than £20,000. You can get stylish watches under £150 and £250 from fashion brands like DKNY, Armani and Michael Kors, but if you want one with diamonds, expect to pay more. Another important factor you need to take into consideration when shopping for watches is functionality and what you will be doing while you’re wearing it. Do you need a watch that you can wear at work or an evening watch? Are you looking for something you can wear when doing outdoor sports or something techy? It’s worth looking at features that may be useful to you. For example, if you’re a wanderlust, opt for a watch with a second time zone that will indicate the time at home and away on the same dial. Or if you want to sync your smartphones to your watch, you may want to consider a smartwatch. Each watch brand has a distinct feel and look combined with a theme and personality of its own. It’s more than a name but an experience that evokes personal taste and different lifestyles. Ask yourself first what you want in a watch. You may want to consider a high-quality and reasonably priced brand for practical purposes that may be without all the glitz. For long-term investments that you will consider selling in the future, opt for brands that increases in value over time. A watch case varies in material and shape and consists of its bezel, middle and back parts. You have an extensive selection to choose, from oversized to small, ceramic to platinum and round to square. Make sure to try as many watches as you possibly can to determine which style feels and looks the most comfortable on your wrist. If buying online, look for shops with a good returns policy. If a watch tells more than just the time, it has a complication. These are intended to err toward the practical, like chronograph or dual time zone, although there are some that are basically romantic in nature. One of the simplest complication considered is a date display and the more you would like to know about the calendar, the more your watch gets complicated. Movement makes your watch go. There are also some factors you need to consider when deciding which movement is ideal for you such as maintenance cost involved and precision. You can choose either quartz or mechanical. Automatic and manual movements are under the mechanical movements. These are made up of mechanical parts only like springs and gears. Quartz is usually the type of movement that’s most accurate. It uses battery to power it and very low maintenance. Where can I get a cheap wallet?